For the longest time, I have faced a classroom situation that can only be described as diabolical. This type of situation started rearing it’s head early in my teaching, but now it seems to have turned into my nemesis. We have our run-ins at the end of unit, when I am managing the unstructured class time while students work through a multi-stage project. I call this situation Work Time and I hate it, largely because I’m scared of it. So today I am going to write about it. A solid metaphor might be a good way to look at this. As a teacher, I have a lot in common with Beverly Hills Cop. I’m from Detroit, I’m resourceful, and my classes are a nice mix of humor and action. The metaphor extends beyond Axel Foley. Traditional teaching methods mirror the police methods of “supercops” Taggert and Rosewood, which I try to avoid. Student success in this scenario would be arresting the bad guy, Victor Maitlin. The bad guy seems so evil, it seems like it would be easy to catch him, but it isn’t. Same thing with students success. Plus, when we have success it seems like there was a lot of needless collateral damage. Things feel a little unresolved, as if there needs to be another sequel. 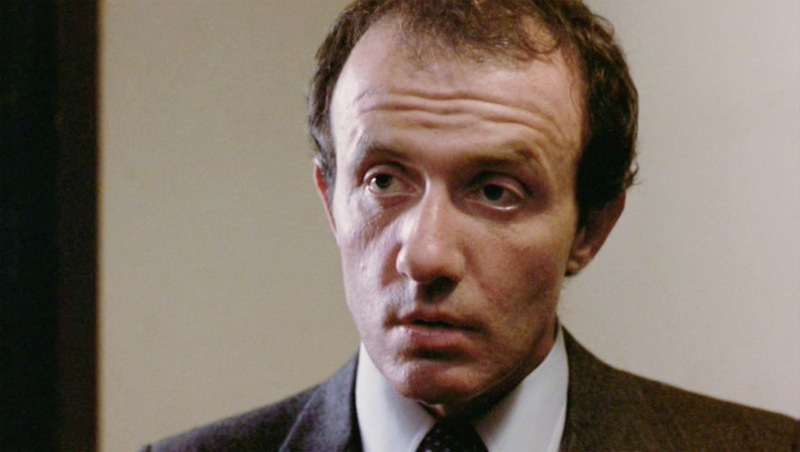 This guy is Jonathan Banks. He plays a henchman that has the upperhand on Axel from the start (he’s also Mike from breaking bad). For my teaching, this henchman is “Work Time” and he shows up right after I assign a project. Because our school has a project based assessment system, we need to work on multi-step projects every cycle. That means students need to be assigned the project, and given time to work on it. The project typically starts off well. I have a collection of good tasks, and students have done a lot of pre-work. Yet once students begin working independently, some of the myriad problems of Work Time shows up and start to deal their damage. I stop everyone from working to do an impromptu mini-lesson on the board that results in more confusion and eats time. These projects always feel like they are going to lead to an easy road to students success. Unfortunately, I’ll turn around and “Wham!” I’m in a shoot out with Work Time. How do I defeat Work Time? I’m not sure how I’m going to defeat work time, but my plan involves lots of checkboxes. On my “Data Statistician’s Toolbox” Project, I gave kids a whole host of check boxes and scaffolding that can help them understand what they need to do. I put a list of previous assignments on the top of the project. The project is broken into modules, so students can work on any given part on any given day. Technology is the big problem, as a lot of kids need to use spreadsheet formulas to figure this out, but I can make a checklist of those too. I’m hoping these checklists will help. I also plan to have a regular check in for people, so they can tell me about their daily progress.